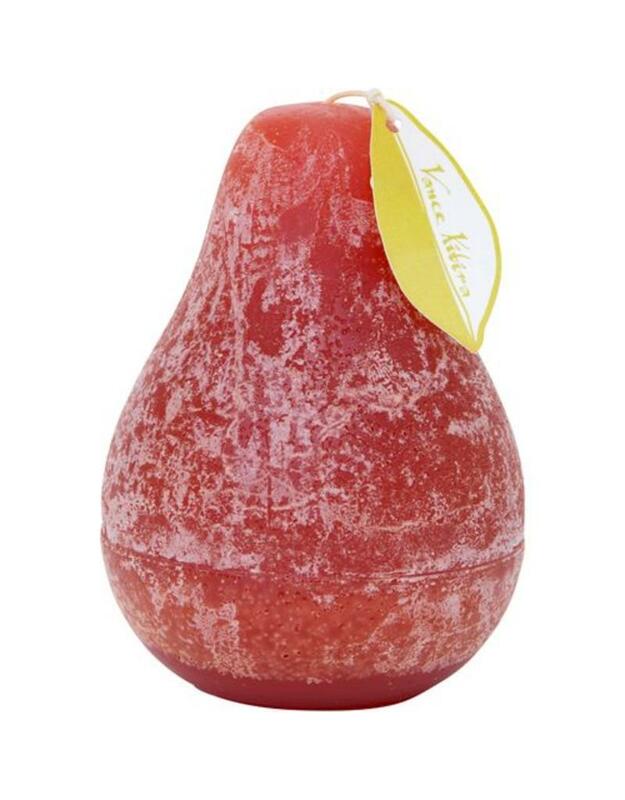 These beautiful candles feature the elegant and charming shape of a pear, which also happens to be an ideal shape for a burning candle. These are unscented, and the Brick color of these candles is a warm shade of red with rusty undertones. These candles by Vance Kitira are part of the "Timber" collection, and have a wonderfully textured look, with the sides featuring a cloudy and mottled effect that is the trademark of this collection by Vance Kitira. Try creating a group of candles in this same color, or mix and match with other pear candles in other colors, because they all look great together! 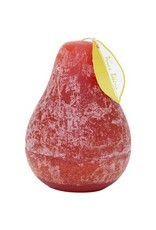 The wax is very long lasting, with each pear candle lasting about 60 hours. These larger pear candles by Vance Kitira measure about 4" wide by 5.5" tall.